A man in the Northern Territory has won his seventh Australian Lotto win. He is a Mathematician who reveals that he has a secret formula that helps him win. The lucky, or rather calculating lotto bettor won over AUD$400,000 real money in the weekend’s national lottery. 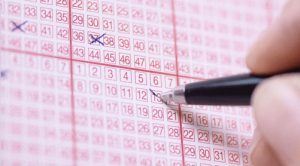 The mathematician won the lotto jackpot with ten other people across Australia. The Aussie mathematician who has remained anonymous has bet on the NSW lottery over the years. He recalls having heard many years ago on radio that certain numbers pop up more often than others. Since then he has kept a spreadsheet of winning lotto numbers. From this database he has created he picks out numbers based on probability. This AUD$400,000 lotto win is his biggest lotto win. His six other wins were considerably smaller. Overall his seven wins since using his lotto winning formula total AUD$421,753.52. His unique mathematical approach to playing the lotto seems to have worked well for him. However, it is obviously not a 100% guaranteed as this current win was his only big one. It maybe that he has found the right balance of maths and luck. He has been following the Australian lotto for some years. Every week he checks the winning lotto numbers and adds them to his lotto numbers spreadsheet. Our lucky mathematician gambler, forgot to check the lotto numbers on the week before he bet on this particular lotto. Regardless, he still went ahead and used the data he had already existing to pick his lotto numbers. Luckily for him, he placed a winning bet. The mathematician plans to spend his lotto jackpot win on his home and maybe a new car. We will have to wait till he wins another huge lotto jackpot before we proclaim, his mathematical spreadsheet formula as a lotto winning gospel. If you would like to play the Australian lotto and try your lucky numbers out, head on to Pokies.com online lottery page and see which lotto to play. For our online gamblers who like the idea of the lotto online, but not the wait for the results, try instant scratchies. Online instant Scratchies use the same principle of a winning combination of numbers or symbols to determine a win. As the name suggests, the wins are instant as well. Check out any of our online casinos and find a lotto online for Australians to bet on.